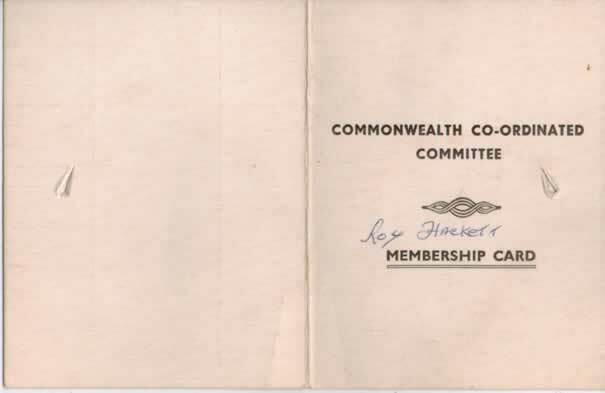 Roy Hackett is the Jamaican born co-founder of the Commonwealth Co-ordinated Committee (CCC) which was started 1962. 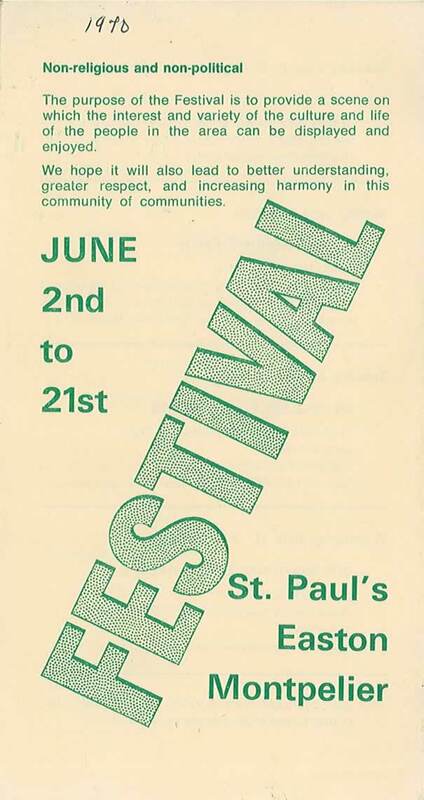 From 1968-79 the CCC set up and ran the St. Paul's Festival. 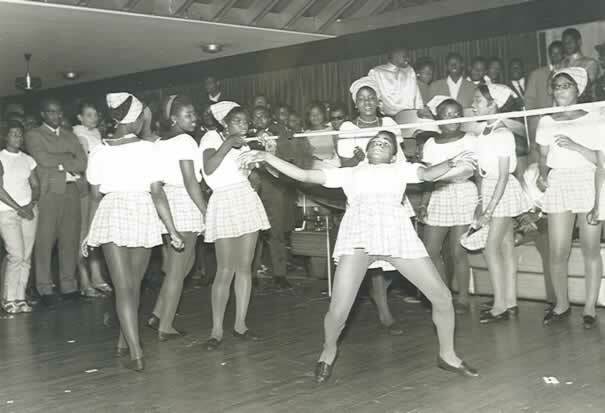 The event has since been renamed St. Paul's Afrikan Caribbean Carnival. 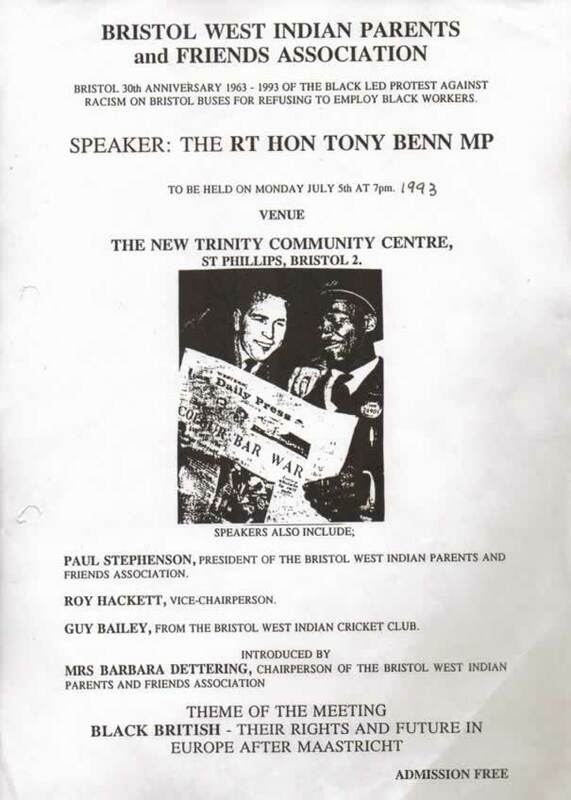 The CCC is now known as the Bristol West Indian Parents and Friends Association, of which Roy is the chair person. 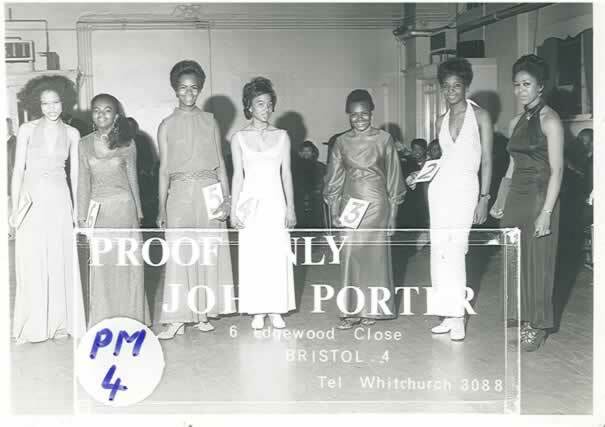 Albert Stewart was a member of the CCC and is now also a member of the Bristol West Indian Parents and Friends Association. Mr Stewart and his wife both contributed to the running of the St. Paul's Festival. I came to England in 1952. I was in Liverpool, that's where I started. In Toxteth, 180 Upper Parliament Street. I stayed in Stanley House. I came here on a Sunday and I was taken to the Labour Exchange named Renshaw Hall. On Monday the 14th of October I signed-on and the next day I found myself a job for £4.10s a week. My rent was seven shillings a week, paid daily. I did that for about two years. 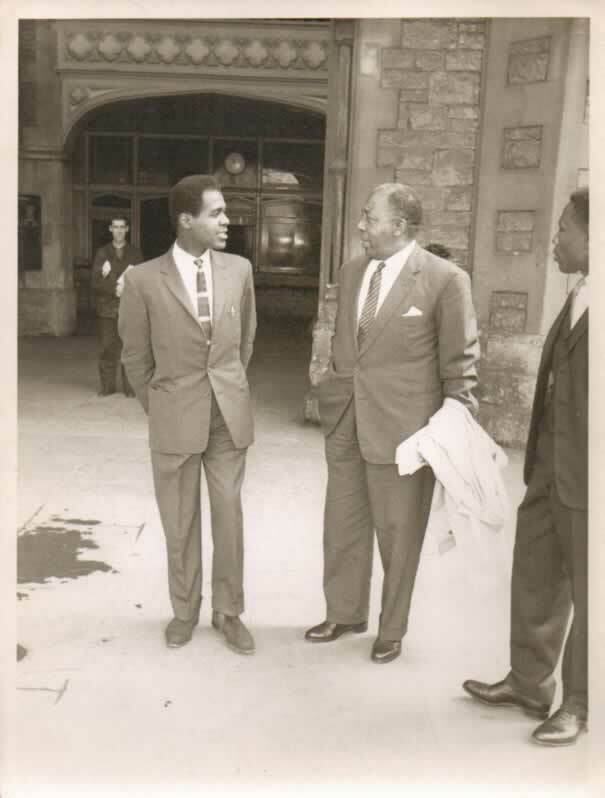 Then I had to leave, because honestly I could not live in the conditions that existed at the time; I found people of African descent who had lived there for 50 years and neither father, son, mother, daughter or grandchildren were working. That's not the way that I wanted to live. You want to adopt that kind of a life if you want to live on the dole. Fortunately, I have never been. I had a dole once, £3.10s in Liverpool, that was the first and the last one. I left Liverpool and went to Wolverhampton. I spent between four and six months in Wolverhampton and then I moved to London. When I came to London I got a job with the engineering firm Taylor Woodrow. They brought me to Somerset to build England's first atomic power station, Hinkley Point, in 1957 — I worked in the turbine hall. 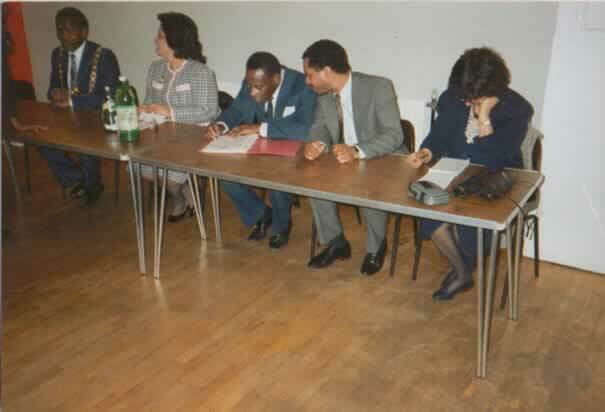 While I was there at least a quarter of the workforce were black and Jamaican, and we got talking. 84 years old. I worked there for a while and had the opportunity to come here to Bristol and I arrived in St. Paul's. I didn’t know anybody so I had to go and knock on doors looking for somewhere to stay — this was in the middle of winter around Christmas time. I walked from Lower Ashley Road up to Ashley Road itself. There were signs, that said “No Blacks, No Gypsies, No Irish and No Dogs.” When there wasn’t a sign on the door I knocked on it. Even if there was a sign without anything on it and the landlady opened the door, often she would just slam it in my face. It was tough. I had to sleep in a shop doorway that night. I wanted to go to the police station, but really, I didn’t know where the police station was. There wasn’t one in St. Paul's, the nearest one was in town. I was earning £5 a week permanently — that was my week's pay in a drugs store, which was open 9-3pm. The next year, from October to February, I worked a seasonal job in the coffee industry board from 6-10pm on Foreshore Road, Kingston — you know we had the best coffee in the world, Blue Mountain. I worked on that for five months, getting £5 from my permanent job and £5 from the coffee. 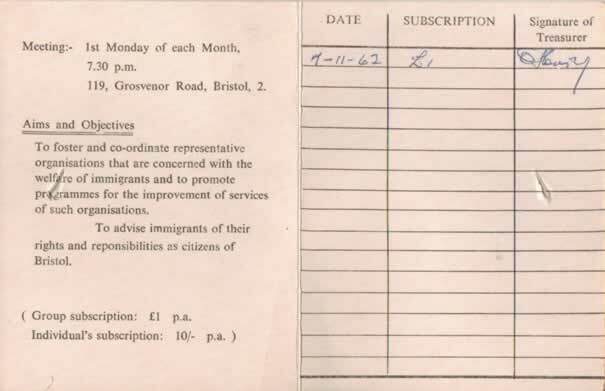 So for five months of the year I earned £10 a week, but from £5 a week to £4.10s, that's a big drop and I had to pay a shilling a day in rent. It's very sad. It's a sad story. I could read and write that story over again because it embedded in my mind. I told my children about it but they just said, “that was the olden days.” But I said, “it is the olden days who create the new era or the new day.” It is the older people who put their heart and soul into the country during wartime or peacetime. They should be looked after in my opinion and at this stage, as older people, we are snubbed by the government. Not by the people, but I don't think the government ever thought about it. They think we are a burden on the NHS and everything else, and that we should have died when we were 70 years old. At my age I am still paying income tax on my work pension from Imperial Tobacco company, who I worked for for 20 years. I didn't meet him, Owen Henry met him. Owen Henry was a business person and he came across many different people from different nations. He ran a travel agents. 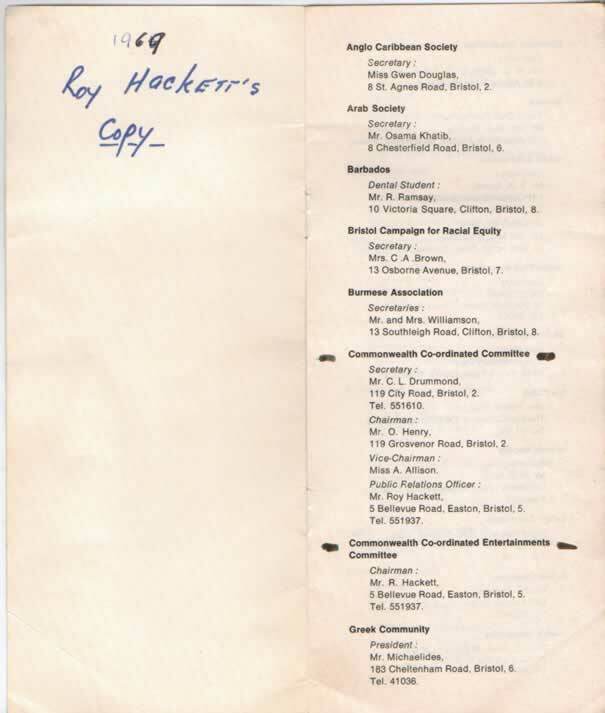 He had an office on Grosvenor Road. 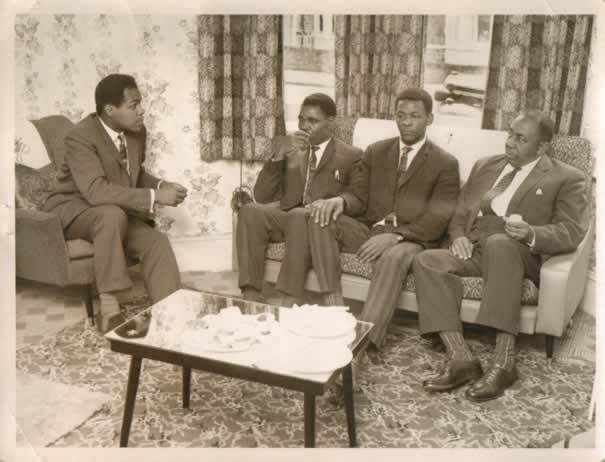 He did a lot of business because he was the person who could send you back to where you had come from and apply for your passport. He was at the heart of everything, at the time the names Roy Hackett or Albert Stewart weren't well known but Owen Henry was. It's like the prime minister, everybody blames him for everything because he is the one who the buck stops with. Owen Henry was the chairman of the association and the buck stopped with him. Roy Hackett: No, Carmen came to Bristol in 1965. It was the late Clifford Drummond, he was the secretary and treasurer, and Audley Evan. 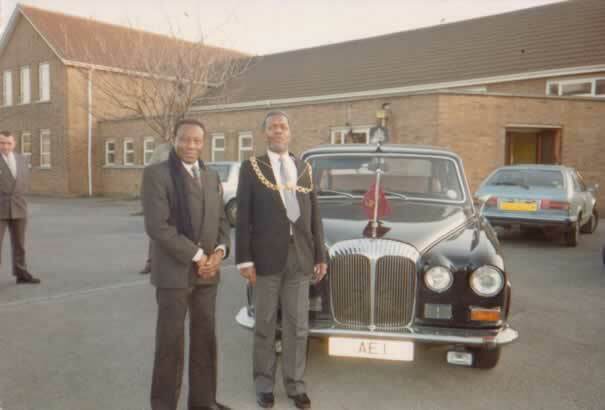 Audley was just a regular member. He left Bristol 45 years ago and I haven’t seen him since. 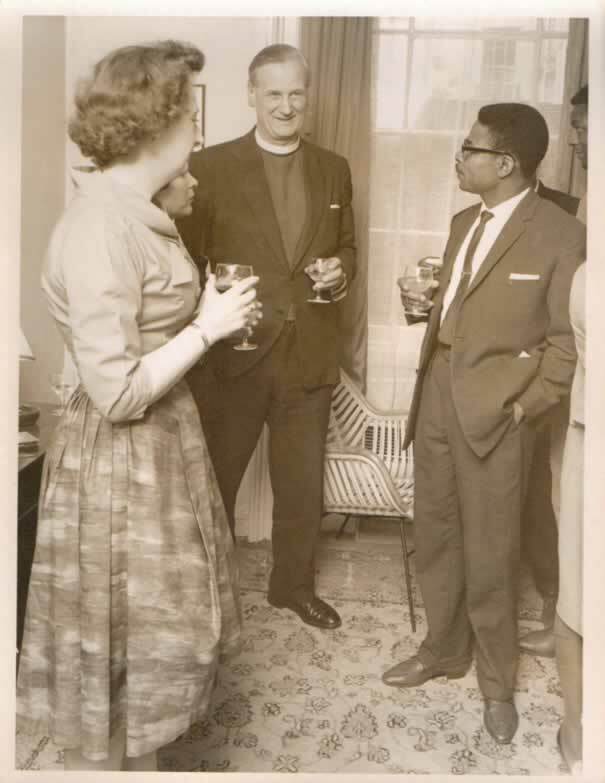 There were four of us in the very beginning in '62 and then once we had formed Paul Stephenson came in 1963. My role was public relations officer, these days they just call it PR. This was all only the formation though. At different houses at different times, mostly on Sundays because we were all working people. Everyone had a job, there was nobody hanging about. This is my contention with the so-called carnival: everybody wants a job in the carnival and doesn’t want a job outside. They want to be paid but to get paid it would have to be an association or a business. The festival was never a business, it was a community event. Everybody in there was living in the community. I am not saying that it's only people that live in the community that should be doing it, because some people from outside have skills that can help you. We had people from outside come in and help us, but 90% of the people that ran the festival were from the community. They were shopkeepers, carpenters, shoemakers — everybody did their little bit. Today things aren't as rosy with the carnival as it was with the festival. For the festival we went with caps in hand, begging pennies and half a crown. If one gave five shillings, that was a whole lot of money! We begged and got favours from people who had lorries and they gave us their time and vehicles to get the festival people on the floats. All of this was given us. All we had to do was pay the driver for the day. In the festival we had steel bands that came out from Bath, and all we had to pay for was the driver to drive the float for the day. All of these things were obtained by begging, but not for a personal purpose, it was for the community, and we did get through. We ran it for 11 years without this council or any council ever putting any money in. So when today they are talking about how this carnival hasn't any money I want to know why, but then it is not any business of mine to interfere in the carnival because they seem to have a closed door policy. It's only when the money ran out that we heard how much they got and how much they spent. I don’t see the cause of that. A consultant to tell you how to run a community event? I think that is way overhead. But like I said, I am not involved with the carnival. I’m not saying it's a bad thing because it brings people into the area and they spend their money here in the shops. They buy a beer for £2 and enjoy the music and the company. It brings people together. We have a little blip now and then between outsiders and some of our boys, which you must expect; they are going to have words with people from a different nation or a different culture. Well, it was the West Indians who ran it all. Now it's everyone. But there is nothing wrong with that. If they live in the community they must have the community behind them. You can't stay up in Clifton and tell people in St. Paul's what to do. If you think you are high you have to come down to their level, drink a cup of tea, break a banana or eat some spicy food, if you want them on your side. 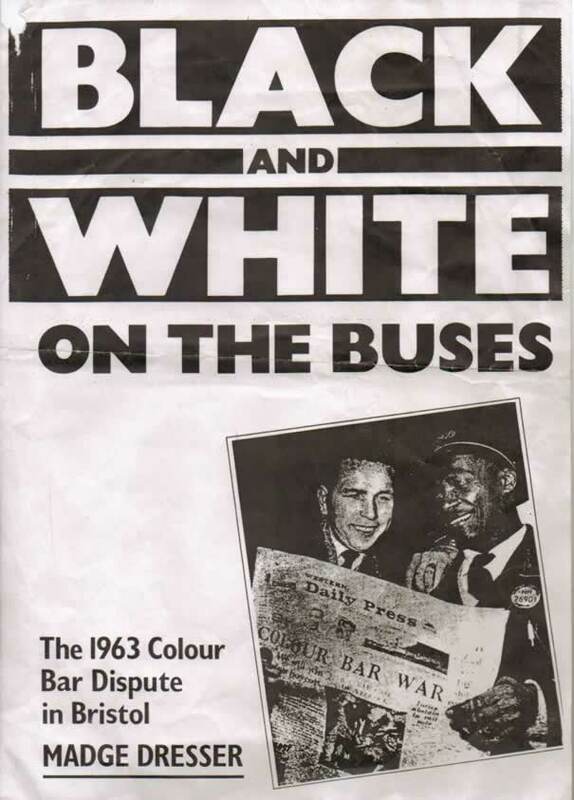 As a matter of fact the Bus Boycott was the first time we became involved in outside issues. However this was involved with the community because most people during those days wouldn’t get anywhere to live in a white community. You had to come where the majority of blacks lived to get a room. You see, you have to take what you can get before you get what you want. If you see a job, it doesn't matter what your ambitions are or your profession is. They didn’t even want to employ a carpenter because he didn’t have the right papers. They called him a second class carpenter, and yet he might do a better job than the first class carpenter. This was the kind of thing that we had to put up with. Guy Bailey was an 18 year old who came here to England. He now has an OBE. He used to run a travel service in Stapleton Road. 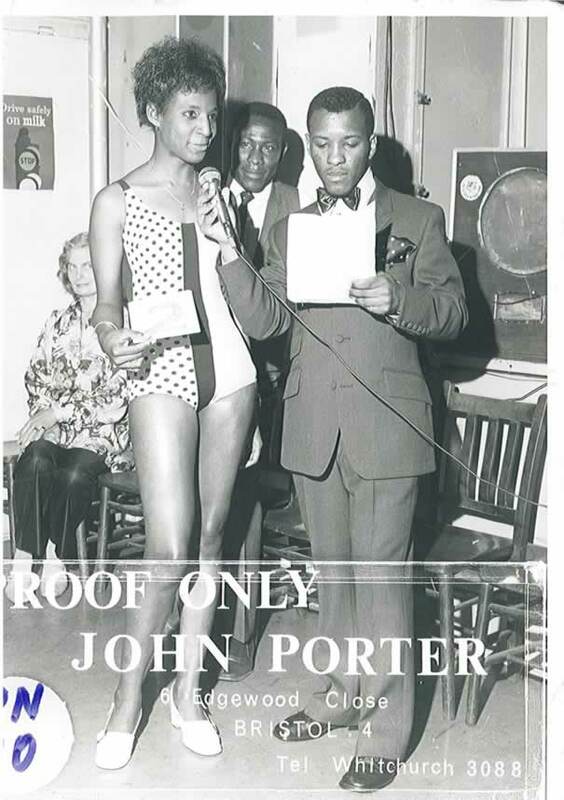 He was with the BDA (Black Development Agency). I'm not sure what he is doing now. He went for an interview. He saw the advert in The Evening Post, rang them up and said that he was looking for a job on the buses. They said, “yes, we have the job, come on down.” He went, the person came out and said “What's your name?” he said, “Guy Bailey.” They said “We are waiting for him.” He said, “No, I am Guy Bailey. I phoned up about a job and was told to come for an interview.” She went back inside and spoke to someone inside the office, came out and said that the job was filled. When he got back he had a white friend phone up to find out if there was a job available. And yes there were plenty of jobs available. I didn't want to. I've never had a bus job and I was employed full-time. I was just making sure that a person who was capable of doing the job was offered the opportunity, especially if that person was born British, born in a British country. It's name is democracy. I don't see why you should stop a black person from earning a living. If you want to kill a man then you hang him or put him in prison, but if you stop him from getting a job how is he going to get his living? We all have a share of the country or a share of the business. We are all working people: wives work, husbands work, there are older people at home looking after the children. 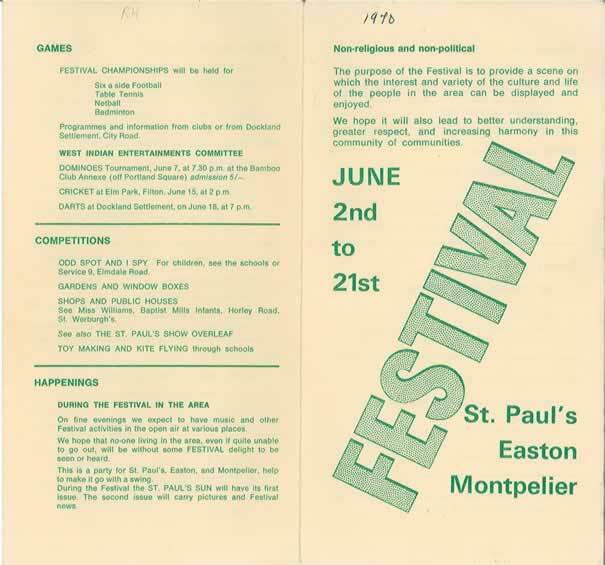 What intentions did you and the other founders have when in 1968 you set up the first St. Paul's Festival? At the very beginning we just wanted to do something to say thank you to our community, which at that time was St. Paul's. If somebody had come up with another idea like cutting the hedges, cleaning snow from doorways or doing the groceries we may have done that instead, but we came up with this and I thought it was a good idea because everybody could have a part in it. The old people could watch from their doorways and the children would have smiles on their faces and shout, “Mum, look here, Look here.” That brings joy. Let's say you were one of the artists and there was something you needed to find out. If you wanted a focal point to say, “who can I talk to about the festival?” We had a woman or a man with a badge. We would say let's take them to the chairman or the public relations officer, some of them would want to speak to Carmen Beckford as well. No, our kind of carnival is quite different from yours. Ours is at Christmas time, St. Paul's Festival was held in July. We started working on it in January and then in July we had the first big carnival. We don't have anything back home on as such a big scale as the St. Paul's Carnival. In Jamaica the carnivals move from parish to parish. We would have one in St. Paul's but we would take it to Knowle or Redland on a different week. I left there when I was 24 years old but I lived in the city where they don't really have them. In the country parts that's part of their Christmas amusement: they dress up and run around. Everybody is dressed up as a god or devil and everybody has their own thing to do in that carnival setting. But I didn't see it in the city because I left the country when I was 16. Every Christmas we looked forward to it and it would go right on through to new years day. What do you think the festival adds to Bristol's cultural life? It's definitely on Bristol's calendar, it was even during our time. That is definitely something that will be missed by the people but more so maybe by the council. The way they would miss it is people are getting money. I don't know who that money is going to but people would miss it. I am quite sure the pubs in particular would miss it. Financially they could make more money on that day than they would in a whole month. It's the benefit I am looking for, and not the financial benefit. I am thinking about the community spirit, mostly for the older people who can't run about, they sit at their door and watch as it goes past and the kids because schools are competing against schools and the kids can talk about, “my school won this, my school did this.” That becomes a subject maybe when it is finished and they go back to school and the teacher says, “oh what did you do at festival?” And they might say, “ I was on the number two boat and I was on this or I danced in church.” I think that is very good for the kids. For us it is entertainment and then people go to the pub and drink excessively and maybe smoke, I suppose, but it's a field day for somebody. 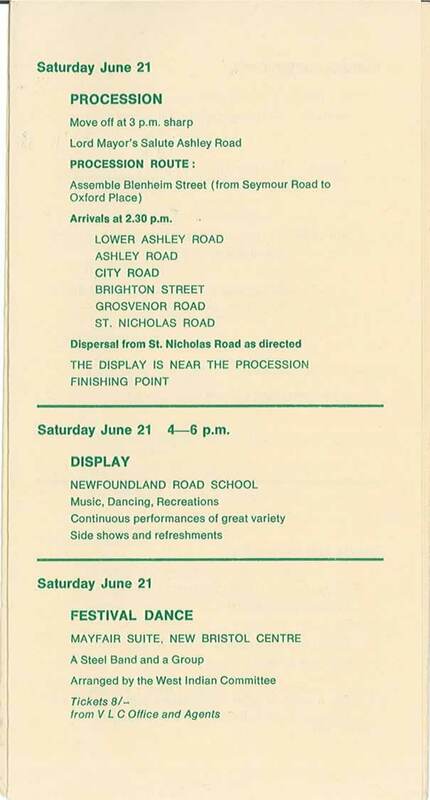 You say the first year of the carnival was 1968 but on the Carnival's website it says that the first one was held in 1967. No, it's 1968. I can assure you of that. 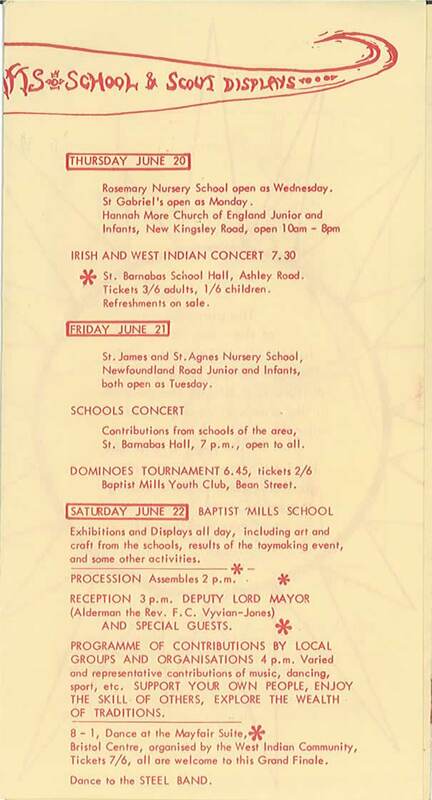 That was the year, [holds up the first carnival flyer] A bloke from Cornwall did this for us in 1968, not '67. They might have had one in '67 but it wasn’t here. We put the best ideas to work and we came up with this [points to the first festival brochure]. Then we went to a white bloke from Cornwall and we said we needed what we called at the time a hand bill but nowadays it's known as a flyer to be made. He said to get all the things we wanted to put on it and then he would put it together. In those days there was no typing machine, it was all stencils. You would put the paper in a big machine and put the carbon paper over it and roll it. Your hands would get all inked up. We wanted to show the people of Bristol that this was our offering to them. And they did enjoy it, everybody came out of their doors. There were fried fritters, fish and West Indian cooking being sold. They didn't know about these things before we put this on. The people who came, they came from as far away as Knowle at the time. It was reported on the Radio so people came to see what a festival was. The first year we had maybe 2000 but the next year the number doubled and then it kept doubling until it was really big. Roy Hackett: We came along Stapleton Road for about 150 yards and then we turned into Seymour Road because there was no motorway to cross back in those days. Then we turned on to Lower Ashley Road and next Ashley Road. The police, they helped, gave us protection and kept the people away from us. Then we came to Sussex Place and we had a scaffolding about 15 ft high on which the lord mayor gave a speech. We carried on towards City Road, then on to Brigstocke Road, which we turned down because that was where all the vehicles could stay. From there we dispatched the floats and everybody went back to the centre and we came into Sussex Place, where all of the businesses, pubs and shops were. We stayed there, doing things all day until 12 o'clock. Roy Hackett: Just like they do in London. They were going slow and the people were dancing in front and behind the floats. All the young school children, they all went on the float because we didn't want them to get lost in the crowd. Their school teachers, mothers or fathers were there. It went on and we survived for 11 years. Imagine. Albert Stewart: This country was a dead country. Although there was black and white, it seemed as if there was only two or three colours. We started to bring in mixed colours. We had been to a shop where we could get offcuts of cloth. We begged bits and pieces of cloth and went round to each others' basements and sewed them with our hands. The ladies sewed them with their hands. We West Indian people are good with our hands. When everybody was dressed up in these bright colours you would be surprised to know people enjoyed themselves and appreciated what they had seen because they had never seen anything like it before. So we started the ball rolling, from a couple of thousand the first year to twice as many people the next, until now. Each year carnival doubles because people always like to spread rumours — if you want to put it that way — about the good and the bad. The bad things we don't want to spread, but as you know the press like bad news. 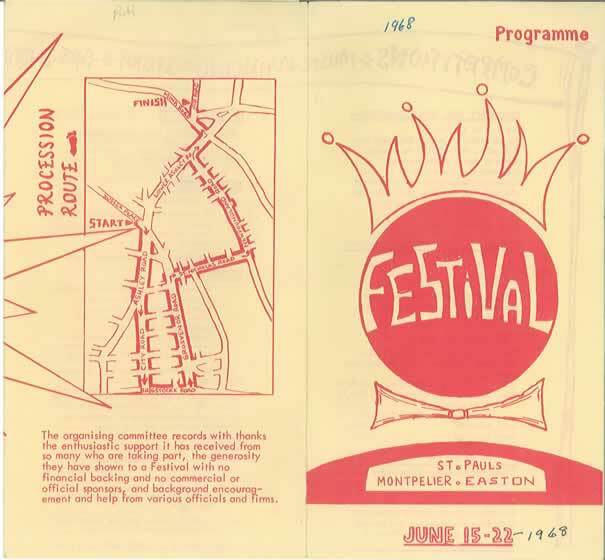 This festival which has been going on nearly half a century, the press wouldn’t pick it up from the beginning when it was going to be rammed down in Portland square. They stood back. Now that it is cancelled they are jumping on the bandwagon: It's on the radio, its on the TV it's on everything now. It's as if they were waiting for this to happen, it's as if they don’t like to see people do good things or things people enjoy. They say good news doesn’t sell papers. So we are pushing along with it but this year it is cancelled. 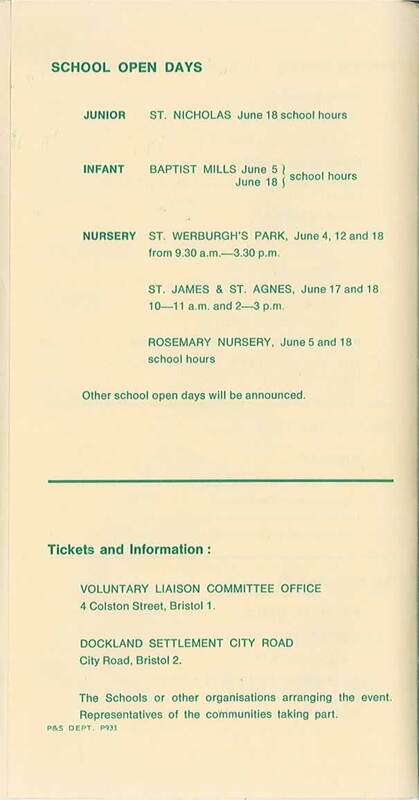 On the internet it was saying the initial organisers were the St. Paul's and Environs Consultative Committee. What was Carmen Beckford's involvement with the Festival? She was on the executive. 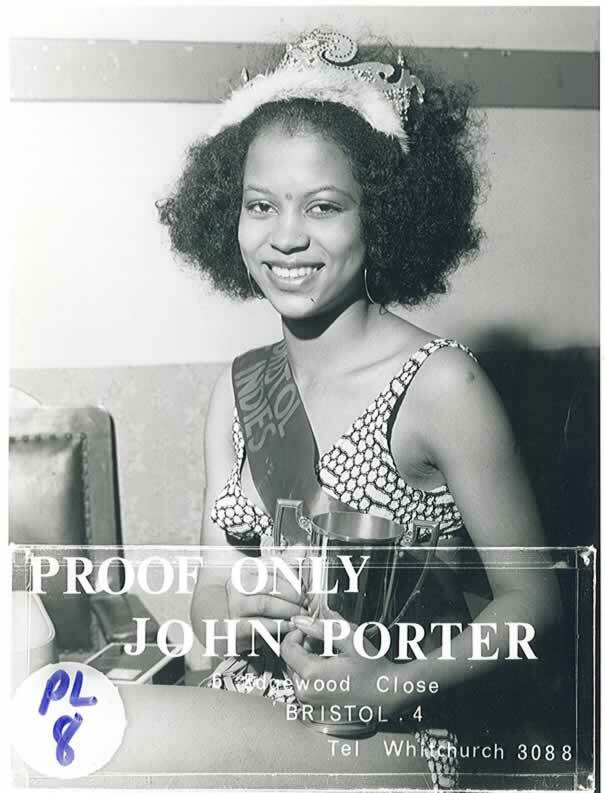 She came here in 1965, so everything that she did was during or after that year. 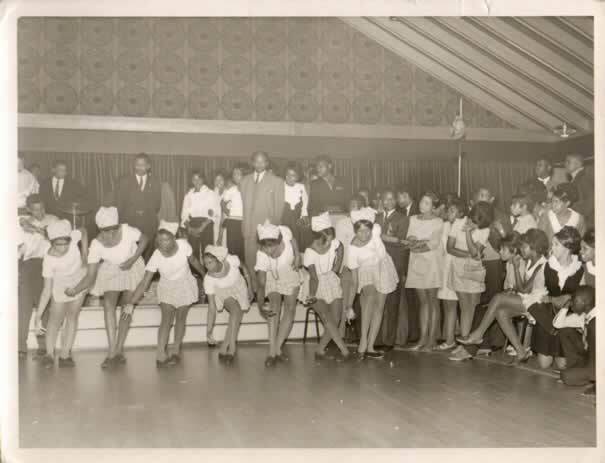 The CCC set up the festival with the help and involvement of Carmen Beckford. She was part of it but she wasn't the sole founder. Part of her wages were paid by the council, there were about ten people who worked there. She had a second in command to her, then the other people were representatives who went out into the communities — this is from here to Devon and Plymouth, because it was the only one in the south west. Carmen was here when the festival was created back in 1968 and she was part of it, she was the one who was in charge of entertainment. 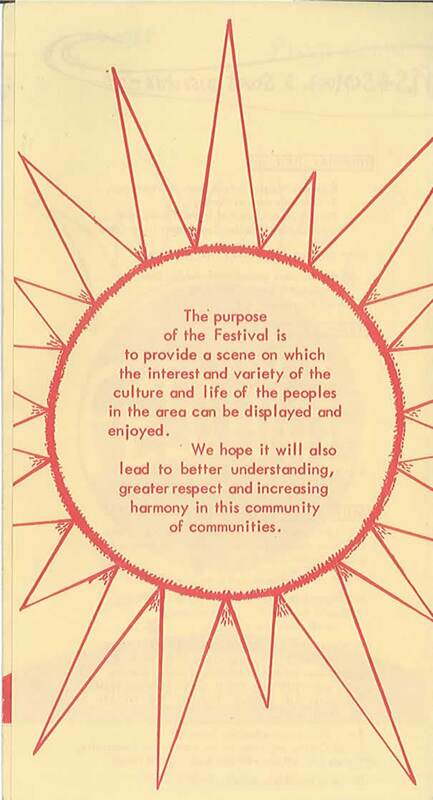 We ran the festival for 11 years, from 1968 until 1979. He was working on the festival before we gave it up. I can't remember exactly. No, he did not. Some of Carmen Beckford's wages were paid by the council. When the BREC sent out to put offices in any county, any city, that council has got to shoulder the wages of the director. Not whole but part wages. The council itself even had somebody there, he was an African bloke. 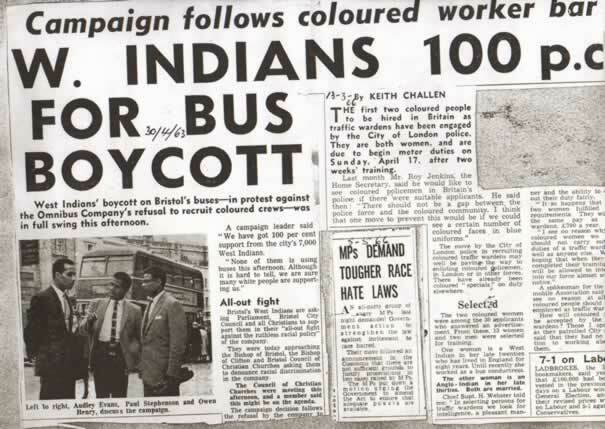 The way it finished was very suspicious but it did finish in 2005, the racial equality council was closed, started in 1965 and closed in 2005. There was a lot of talk about why it had closed, they thought that the time had come when racial equality had been achieved and it was time to abandon it. Albert Stewart: By then Carmen Beckford had resigned a long time ago, about ten years before it closed. I don't know whether she stayed around in Bristol long but I think she has since left England and gone home. I think in my opinion that there may have been someone put there to portray the council's part, but the council wasn't paying us anything so there was nothing for that person or us to gain. They never gave us any money to help. All they gave us was the venue to do things like the school yard or Portland Square. But they didn't have the right to say you can't do this because if we couldn't do it at their place we would find another place to do it. Albert Stewart: We didn't get any money from anywhere. Of course the police have got to check their budget out. Instead of putting 500 police on the street, back then they would put ten police out. Everybody worked with the police and the police worked with us. Roy Hackett: We didn’t disrespect any of the police. The people from outside of the area were better protected because when you are in a new place you don't know who is who. The police were there to help people if they wanted an address or so forth. They took part in it, they danced on the street and socialised with us. They built Cabot school by the motorway. Cabot school has high fences, about 15ft, to stop people going onto the motorway. These chaps, in my opinion, pushed by someone else said that they didn't want it to be in the school. They were concerned that when they were smoking their drugs the police would come past and they wouldn’t have an easy escape route. The fence was so high they couldn't jump over it and there was only one way in, which was really guarded. You might hurt yourself trying to even climb the fence. We didn't create the festival for people to smoke joints or to prove that drugs should be smoked. We didn't want to take part in that kind of thing. We didn't want to change what we were doing so that they could smoke drugs. We weren't stopping them but we wanted a place where people were well protected and in Cabot school they were. There were no cars, it was a secure place. Do you know where they wanted to have it? Minor park playground. There is no fencing there and the kids could have run across the road and done anything. We said we couldn't protect the children running across the street because that road is the main road to the motor way. We couldn't have it there. We thought we were going to stop it. We handed it over to whoever wanted it. As a matter of fact we didn't hand it over to anyone, we just stopped and then they took it up and ran it. 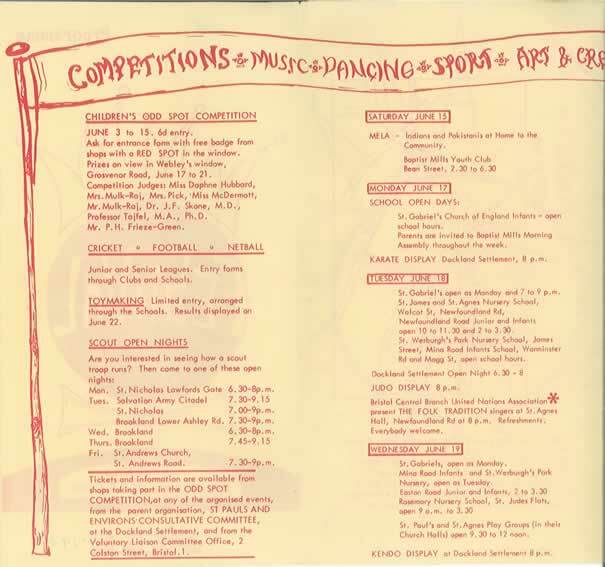 They continued with the name St. Paul's Festival for about two or three years and then they changed it to St Paul's Carnival. Since then we haven't taken any active part in the carnival. Like I said, it seems political. I cannot prove that, but the people who were pushing for the changes to the venue for the festival were usually those employed or involved with the council — council indoctrinated. They didn't do it alone. They got the Rastafarians and Caribbeans who wanted to do their drugs. On the day of the festival they might have made more money selling drugs than we made setting up the festival. Except we weren't trying to make any money. They said they didn't want it kept there. In other words they were giving us a warning. In my, and the other committee members opinion, if we didn't move it from the Cabot School venue they were going to do something about it. We couldn't let it end like that because if we had had anything like fighting or vandalism of property the council would have shut us down. The council didn't have any role in it other than the police presence and that they had provided the area, Cabot School playground. The education authority gave us the school and Portland Square was thanks to the council. Those were their blessings to us. Can you talk a bit more about the council. What would the council's motives have been? Why did they want to change it? I cannot say why they were involved personally. They didn't say anything about these things, but the way it was done, by certain people who actually worked for the council, well, the people they were associating with were the people who threatened us. Albert Stewart: Since the activists took charge of it you’ve got to pay big money for every little square inch in front of your house on the street. Some pay £750 for a spot the size of a table. That's big money! We didn’t charge anybody anything. We weren't making any money from it. If somebody wanted to set up something in their front garden and use the electric from their house, put a frying pan on there and fry a few dumplings or fish, then that's their business. We didn't charge anybody but this is big business. What I'd like to know is, if they are charging those sorts of amounts where has all that money gone? Roy Hackett: Since they took the festival over it has stopped twice. It is bad management and they made a great deal of money from it. What is going on? I heard that the council still gave them £55,000 to clear up the bad debts. Of all things the Jamaican high commissioners department gave them £10,000. I was very angry about it. When I asked them about it they said it was from the heritage fund. They got it from the heritage fund and gave it to them. Why didn't they give it to us, the West Indian Parents and Friends Association? I went to church with them and asked about it. I talked with the deputy high commissioner and told her what I knew but she was not forthright with us. On the Carnival's website it says one of the objectives of the carnival is to advance the education of the public in the appreciation and practise of African and Caribbean arts and culture. How well do you think it does that? I couldn’t say anything about that because I haven't seen any written documentation on what they have or haven't done. Albert: Now, I specifically use the word, 'us' as the Afro-Caribbean people because the African people do their own thing. There is a dividing line there that is very hard to break down. There is a problem there and I don’t know how we are going to solve it. Roy Hackett: You see we have black and white prejudice but even more so there is also black and black prejudice. It's a terrible thing. Roy Hackett: I think it has been cancelled a total of three times since it has been going but two of those occasions have been in the last ten years. Like I said, I am not involved with the carnival. I see it on the news and because I am a nosey person and I want to know what’s going on, and I go to the meetings. 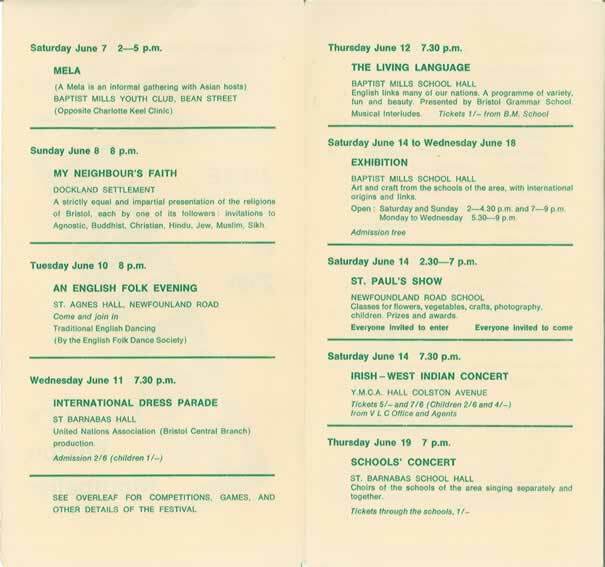 I went to one and I showed them this [points to pamphlet from an early festival] and they said, “why is it that you put on the festival for two weeks and we only have it for one?” I said “At the same time as having the event go on for 16 days we were not getting any money from outside sources.” It's a change of attitude. What do they call themselves? Afro-American? I don’t even want to call myself Afro-Caribbean. I'm just a Caribbean man. You must not forget your roots and my roots are very deeply ingrained in the Caribbean because of slavery. That's a really bad part of the Caribbean people. Albert Stewart: Slavery was designed to divide us and to indoctrinate us. It's going to be very hard for black people to unite together. We are trying our best, that’s what this carnival is all about, that’s why we started it: to bring people together. Now it's tearing us apart. There were three uniformed police officers there before anyone else. I knew most of them. I talked to them. One of them was a black girl. They were based at trinity police station. I said, “Have you come to listen?” They said, “Something like that...” They were sitting there because they thought the young people of St. Paul's were going to kick off. And they did, they were going to rip the place apart.